The city has begun work repairing and converting the “High Bridge” over the Chippewa River into part of Eau Claire’s trail system. 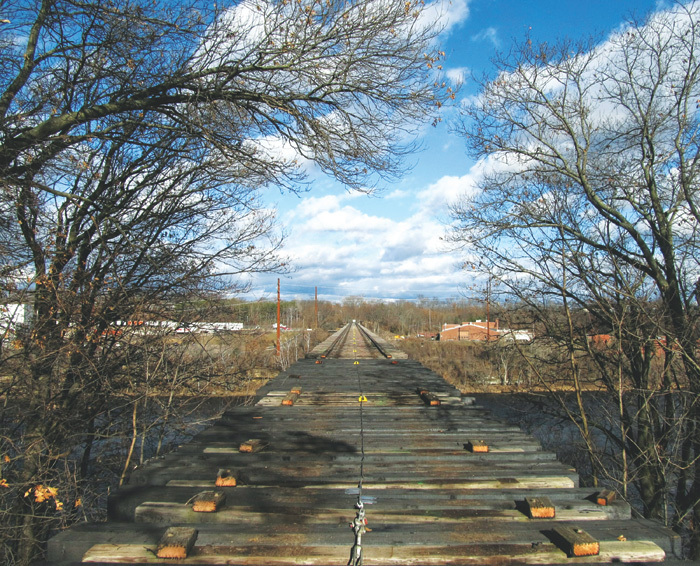 Sometime this summer, the formerly unused railroad bridge will connect the city’s west side to the downtown area. Photo by Tina Ecker Photography.